There are a number of reasons why we start getting lines and wrinkles but the primary cause is the loss of elasticity and collagen reduction. Fortunately, there have been many anti-aging advances in recent years that make it possible to enjoy smoother, younger-looking skin for longer. Every time we lay down to sleep, our faces are compressed into a pillow. This compression on one side of the face continues for most of the night or until you change sleeping positions. When we sleep, our skin and facial muscles are pressed into a specific position, which eventually leads to what we call ‘sleep wrinkles’. Sleep wrinkles are a lot more common amongst people who sleep on their sides or stomach. If you believe that your sleeping positions may be a major contributor to your wrinkles, know that there are steps you can take to prevent new lines from forming. If you had to imagine wearing a pair of pants that are too tight, every day for several years, the compression marks that form around your waist will eventually become more permanent as your skin begins to lose elasticity. The same applies to your sleeping habits – when you’re continually pressing your face into a pillow every night, eventually, your skin will react accordingly. Many women want to know whether dermal fillers and anti-wrinkle injections can reduce the appearance of these lines and the answer is that dermal fillers can definitely help. Please find more details here: https://www.academylaserclinics.com.au. Sleep wrinkles tend to form on the forehead, cheeks and around the mouth but because they’re not being caused by the facial muscles relaxing and contracting, treatments such as anti-wrinkle injections won’t be able to do much. They will, however, be able to reduce the appearance of any additional lines and wrinkles that are being caused by facial muscle movement, making your sleep wrinkles look worse. Dermal fillers, on the other hand, can make a difference to sleep wrinkles. The hyaluronic acid that’s present in fillers helps fill in and plump up sleep wrinkles while also encouraging the production of collagen and improving elasticity. There is a good chance that you will need multiple treatments before you will see any noticeable results though and it’s important to remember that you can’t avoid sleeping, so you may need to become a regular patient if you want to maintain your results. Fortunately, fillers do last several months before you will need another treatment. 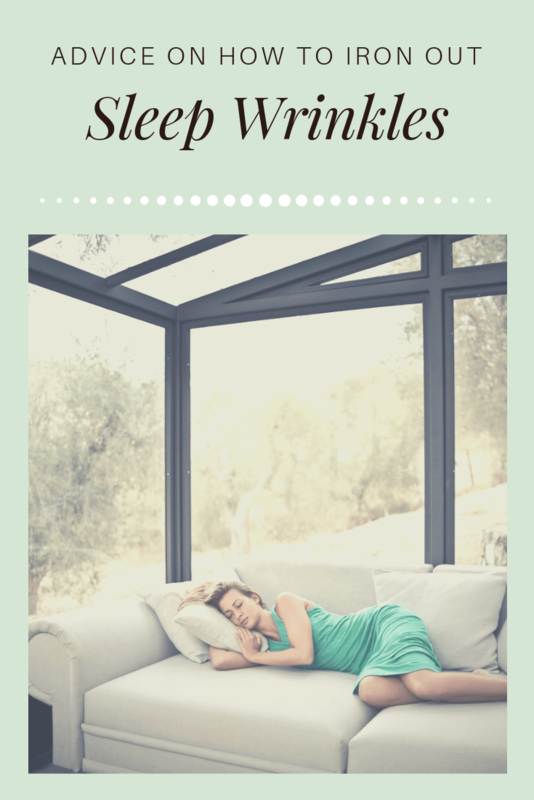 Can Sleep Wrinkles Be Avoided? There are steps that you can take to minimize sleep wrinkles, starting with changing your sleeping position. This is not always possible because you do move in the evenings but the more you can get used to sleeping on your back, the better it will be for your skin. Staying hydrated is another way to keep your skin supple enough to withstand compression during the evening. Drink enough water before bed and be sure to moisturize too. There are even anti-wrinkle pillows available that will help reduce sleep wrinkles.